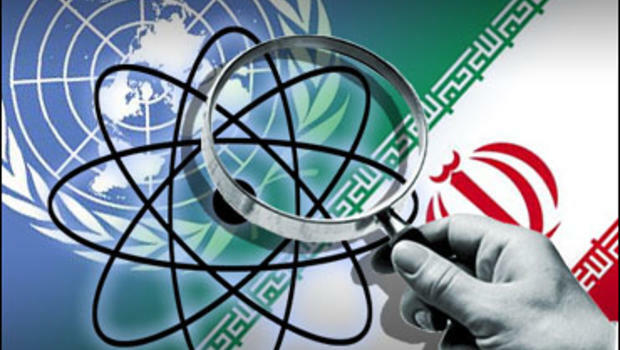 Home › Iranian Nuclear Crisis › After Iran Report, Can IAEA Still Deter States From Going Nuclear? The International Atomic Energy Agency (IAEA) report on Iran’s past efforts to build a nuclear weapon continued to make waves in the Western media this weekend, with nary an outlet keeping silent on the document’s dramatic – but not unpredictable – revelation that Iran had pursued nuclear weapons five years ago, but supposedly abandoned the pursuit in the preliminary stages. Widely reported were US Secretary of State John Kerry’s remarks that while Washington has “no doubt” that Iran has a military nuclear past, preventing an Iranian nuclear bomb is more important than scrutinizing its past nuclear activities – even if these include computer simulations of nuclear explosions that were undertaken as late as 2009, US President Barack Obama’s first year in office, and even if they prove beyond a shadow of a doubt that Iran’s religious leadership has not actually issued a binding “fatwa,” or prohibition, against nuclear weapons development. While many outlets communicated Kerry’s remarks matter-of-factly, there were some that chose a more critical tack. One of these was The New York Times, which cited an IAEA official saying the Obama administration’s decision to “essentially close the file” of Iran’s nuclear weapons pursuits sets a “poor precedent for the future” of nuclear nonproliferation – and what’s worse, hampers the IAEA’s ability to deter and “strike fear into nations secretly pursuing the bomb” (it is the “nuclear watchdog,” after all!). Business Insider, meanwhile, alerted its readers to a “jarring omission” from the IAEA’s “major new report: the fact that while the political climate in Iran had ostensibly changed since the early 2000s, the people involved in nuclear weapons research, the “human infrastructure” of the program, hadn’t. Rather, they had formed a research organization under the auspices of the Iranian defense ministry, thus enabling Iran to retain the “organizational framework” of its military nuclear program well into the present decade. Both articles make it difficult to argue, as Washington has done in recent days, that a “public accounting” of Iran’s full nuclear history “no longer really matters” in view of the present efforts to prevent an Iranian bomb (i.e., the nuclear deal). As these articles duly pointed out, it’s not just an issue of “public accounting,” but also of transparency, deterrence and preventing in the future. Moreover, if Iran is allowed to retain the “human infrastructure” of its military nuclear program without being held accountable for its past weapons research, what prevents the IAEA, the “nuclear watchdog,” from being seen as “all bark and no bite” by other states considering going nuclear, or secretly pursuing a bomb?